Single Board Computer implemented by the combination of a CM-T3530 module and a SB-T35 baseboard. The SBC-T3530 is a small single board computer based on the Texas Instruments OMAP3530 processor. It is implemented by a CM-T3530 module providing most of the functions, in combination with SB-T3530 carrier board providing connectors and several additional features. The rich feature set of the SBC-T3530 is customizable according to the price / performance targets of the user's application. 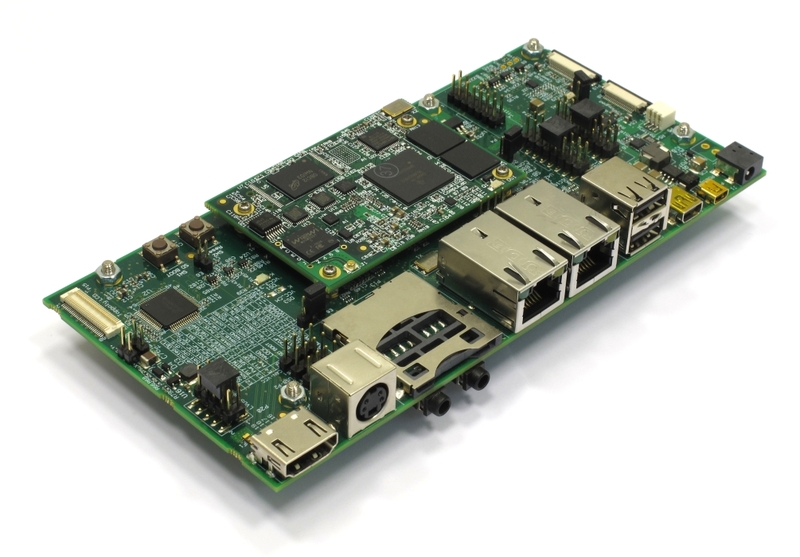 OMAP3530 processor of SBC-T3530 combines two CPU cores in single package - an advanced Cortex-A8 ARM CPU for running operating system and application code, and TMS32064x DSP for dedicated video processing. Low voltage Mobile DDR enables very low power consumption in regular operation and in standby. Power supply options of the SBC-T3530 enable its integration in mobile applications powered by a rechargeable battery. Charger and battery management support is provided on-board. The "SB Option" column specifies the P/N code of SB-T35 carrier board required to have the particular feature. The "CM Option" column specifies the P/N code of CM-T3530 required to have the particular feature. 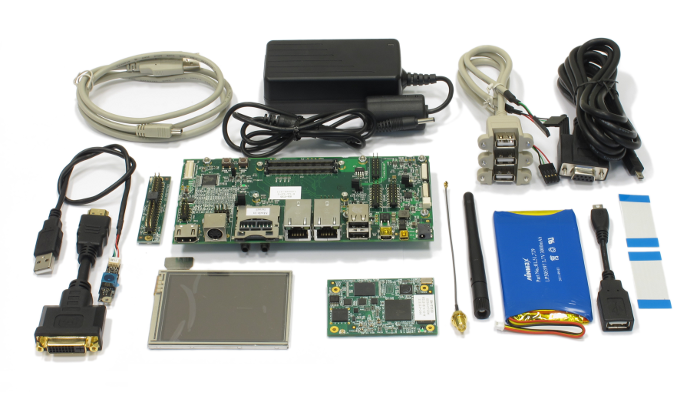 SBC-T3530 content is the combination of features provided by the attached CM-T3530 and the features implemented on the SB-T35. To have the particular feature, both the CM and SB options of that feature must be implemented. For previous versions of the CM-T3530 software packages, please refer to the CM-T3530 software archive. Note: The SB-T35 base-board must contain a CM-T3530 module for the implementation of a self-contained SBC. Options specified on this page refer to the SB-T35 only.